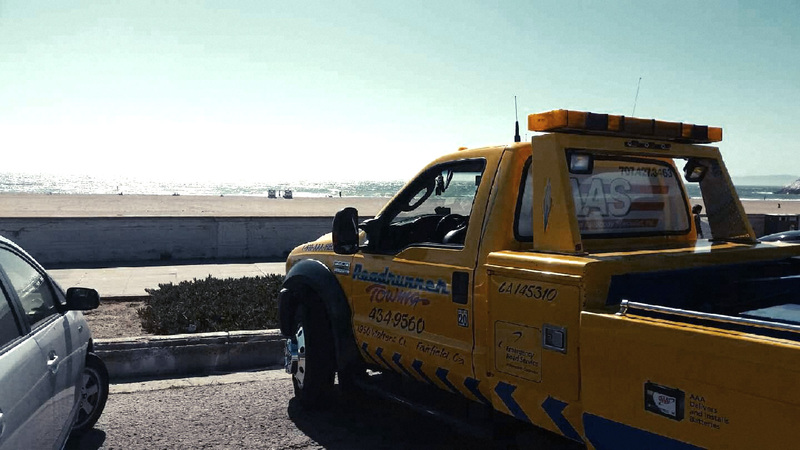 Our roadrunner tow crew member had to tow a car to the beach and very much enjoyed the scenery. When life hands you a car that needs to be towed to the bay, than its time to take a lunch break at the ocean. One of little perks of towing in northern california.